This versatile recipe can be served as a deconstructed salad in fun individual lettuce bundles, or even as fresh, healthy lettuce wraps your guests can build themselves at a buffet-style party. 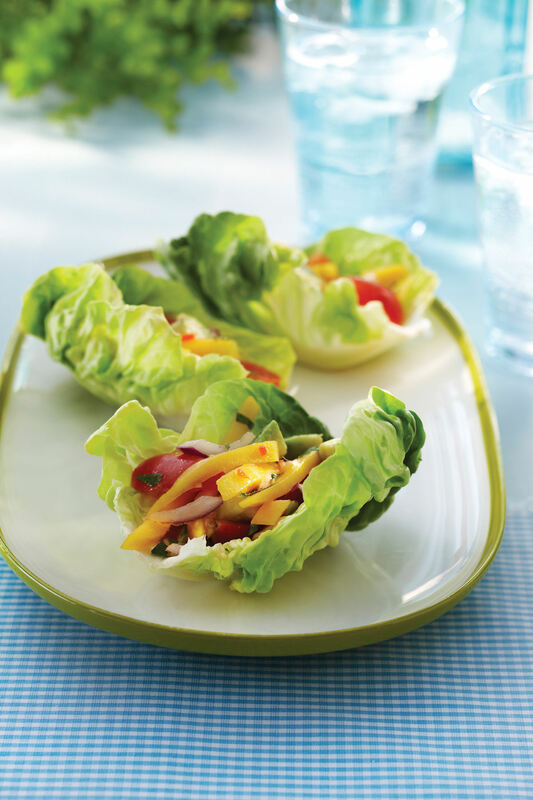 The creamy taste of butter lettuce is a perfect complement to the Thai vinaigrette. Combine cayenne pepper, garlic, lemongrass paste, sugar, sunflower oil, fish sauce and lime juice in a serving bowl. In a serving bowl, toss together mango, onion, tomatoes and herbs. Gently, mix in avocado. Add in vinaigrette and toss gently to distribute. Spread butter leaves over serving platter and top with mango salad. Serve salad immediately.